The late vice president, Michael Kijana Wamalwa, once said, “those who love him, love him with passion and those who hate him, hate him with passion. 2011 was the year when all this became clear. Prime minister Raila Odinga was at the centre of everything. When it was Hague time, Raila was there. He was always the target of aggression from all quarters. He was on more than one occasion accused of taking the Ocampo six to the Hague, influencing the prosecutor or even twisting evidence. Whether true or false, he gave people endless debates and discussions at work places or wherever. Throughout the year, he treated his ‘fans’ to endless riddles better known as tendawilis. For this, he was attacked by several politicians. A certain Mp even made an anthem, where he would tell crowds of how they should not have a riddle person for a president. Whether the riddles were really relevant to the country is for you to judge, but honestly speaking they were at least funny. Call it talent or whatever you like, but fact is, other politicians who are not as ‘talented’ resulted to making fun of his talent thus spending lots of time talking of the man. When the issue of paying taxes arose, mps were as usual not willing to comply. Raila pulled a first one when he marched all the way to Times Tower to comply with the directive. That action was termed as showbiz but a few days later, one of the politicians who made that comment did the exact same thing. During a ceremony where Raila had attended together with the president and former president, he cracked friends and foe’s ribs when he referred to former president Moi as ‘Nyayo’. That was the main ‘story’ on popular weekly satire series such as Bull’s eye. A leading Raila rival while appearing on Churchill Live weeks later, repeatedly used the name ‘nyayo’. 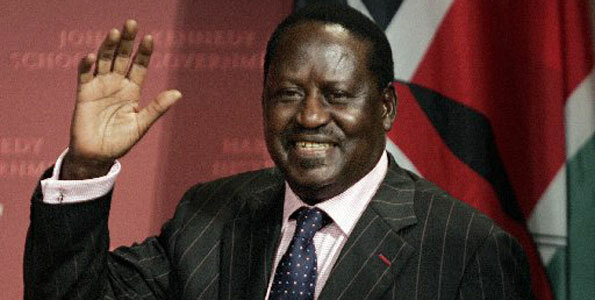 Many incidences throughout the year showed Raila Odinga as a first among equals. He was always on our TV screens and at times entertained us. When not on TV, someone was talking about him on TV. Simply put, Raila Odinga caught the nation’s imagination in 2011, and that is why he is our Person of The Year. Samuel Eto’o Launches Mobile Network In Cameroon. Usain Bolt Drinks Himself Out.